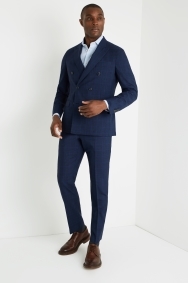 An on-trend suit that will make a subtle statement. 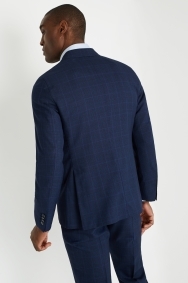 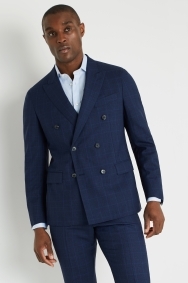 This double-breasted suit by Savoy Taylors Guild gives the classic sharp look a more understated feel with its subtle checks and tailored fit. 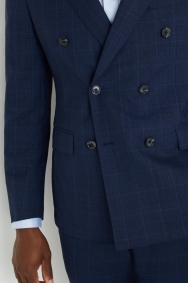 Peak lapels create an occasion-ready appearance, while the 100% woven-in-Italy virgin wool is both refined and soft. 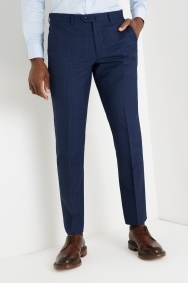 An open-necked blue or white shirt is all you need to compete the sharp yet relaxed outfit.